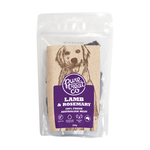 Australian-made using only high-quality Australian ingredients, Pure Treat Co dog treats will really make your pet feel special! 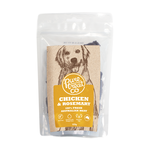 With a tasty range of flavours including Lamb & Rosemary and Wild Game & Apple, these natural treats are made with your pets' health in mind. 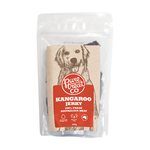 Grain-free, enriched with Omegas 3 and 6, and created with 100% Aussie meat, Pure Treat Co treats are ideal for dogs with sensitive stomachs and are crafted with absolute care. Buy your dog treats online at Pet Circle and not only save, but discover a wide range of special nibblies including jerky treats, occupier treats, rawhide treats and dental treats.